Photos can help you tell a compelling story. And as a blogger, having the right photos can prove to be extremely crucial in getting your message across to your readers. 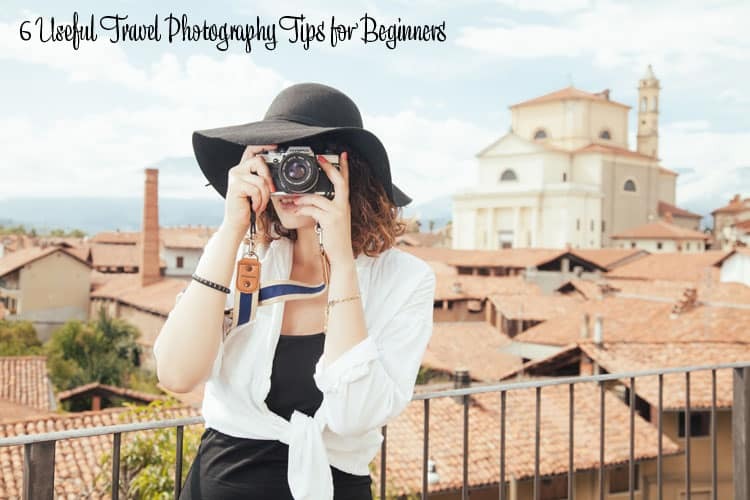 Travel bloggers in particular need to have great photos to highlight their stories and these 6 useful travel photography tips for beginners (and non-beginners alike) will help you capture what you need to make your content shine. It’s important, therefore, to use high-quality images for your blog. First off, you’ve got to have the right equipment. They don’t necessarily have to be top-of-the-line gear, but just make sure to buy equipment that you can work with. 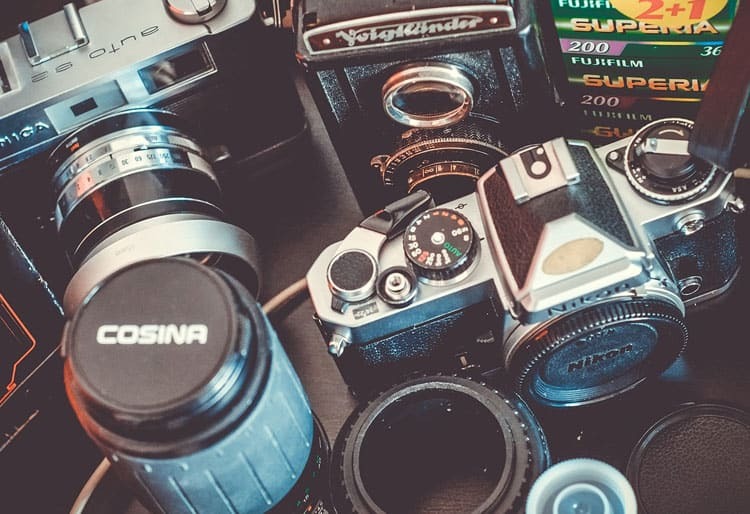 You can go with the usual DSLR or mirrorless camera, but you can also choose from medium format film and digital cameras that are popular options among budding photographers who are looking to shoot exceptional, large-format photos. Good lighting is crucial to photography, and it’s important to find natural lighting, especially when it comes to travel photography. Photographers usually stick to the Golden Hour rule, which states that the best times to shoot photos are just when the sun has risen, and when the sun is just about to set. This is definitely sound advice, as shooting during twilight can effortlessly add drama to your photos—for a more pleasing result, set your white balance on auto and use the hands-off shooting mode. On the other hand, you can’t always shoot during those specific times. You will always find yourself in situations where the lighting will not be ideal, and you’ll just have to learn how to adjust accordingly. If the sun is too bright, consider using a lens filter to minimize the light entering your lens and improve color contrast. If you’re shooting at night, you have to get creative with ISO and shutter speed. If you want to capture those beautiful city lights, set your white balance to automatic and your ISO to 400. For tail light streaks like those you see in popular cityscape photos, prop your camera on a tripod and set your shutter speed to 30 seconds. Adjust your camera’s exposure compensation control if needed to avoid getting overexposed images. …and in pressing the shutter button as well. This can take some getting used to, as creating a well-composed image takes time. But with constant practice, you’ll learn to frame your shot quickly and with proper timing. This skill is important to master because it happens often during travel. There are many fleeting moments that you might want to document wherein you don’t have the chance to take a certain shot twice. Just take the famous Mt. Fuji in Japan, for example. It’s rare for someone to see and capture it in its full glory. Usually, portions of the mountain are hidden behind a sea of clouds. And when it does show itself as a whole, it’ll only take minutes before it’s covered with clouds again. So for moments like this during trips here and abroad, make sure you are prepared to take a picture in a heartbeat. Most of the popular tourist spots are surrounded by bodies of water, whether natural or manmade. 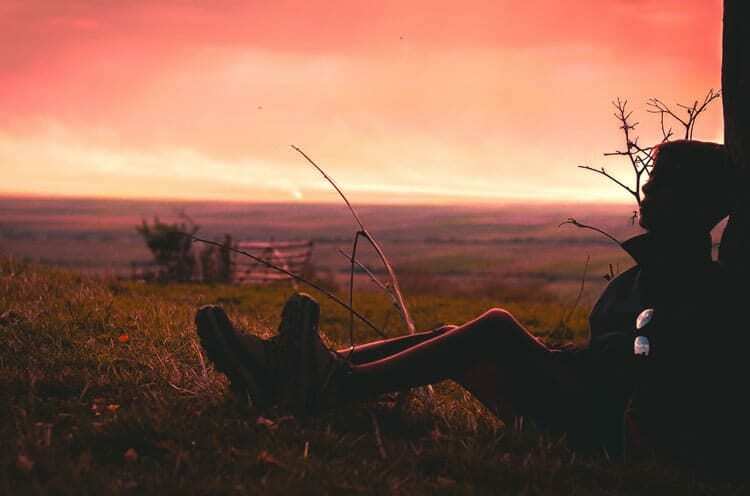 Photos that include a view of the ocean or a large lake are usually quite spectacular, and they serve as great fodder for travel blog readers. But the problem is, it can be tricky to get the perfect shade of blue, with little to no reflections and with a nice contrast against the sky. 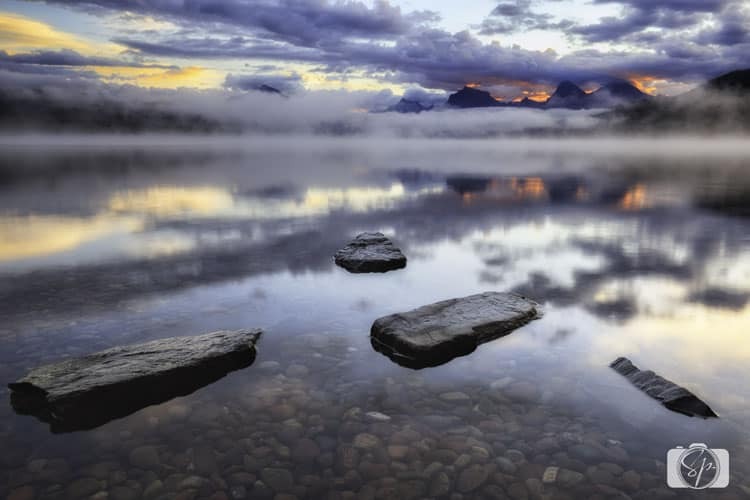 The best way to work around this is to use a polarizing filter on your lens, angled at 90 degrees to minimize the reflections on bodies of water. Using just one lens isn’t exactly wrong, but you may miss the chance to capture a scene or subject in the way it was meant to be captured. For instance, if you are shooting a beautiful landscape, it’s best to use a wide-angle lens rather than a regular kit lens or telephoto lens. 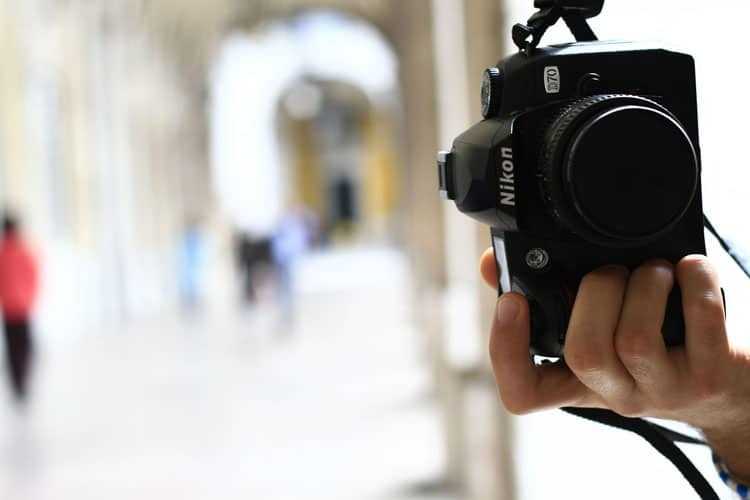 If you are shooting street photography with the intention of capturing portraits of the locals, a short to medium telephoto (or a normal 50mm lens) is best to achieve a sharper subject with an attractive out-of-focus background. The point is, it’s best to have a few lenses on hand for different photo opportunities. As common courtesy, you shouldn’t just take photos of strangers you see on the road, particularly children—especially when you’re in another country. 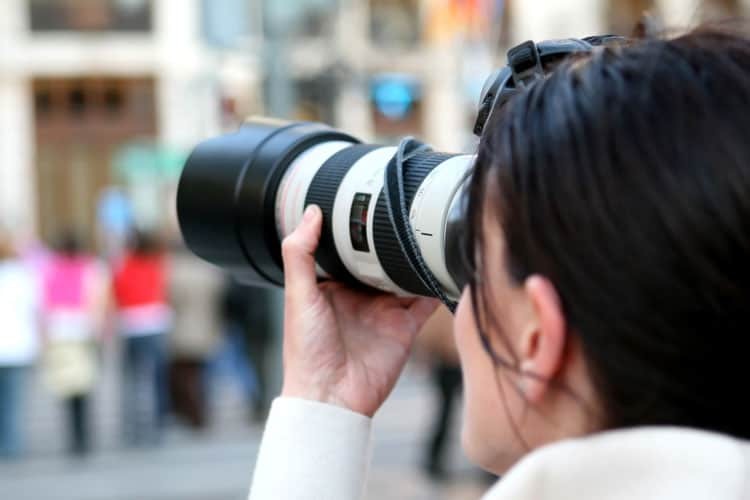 The government may have certain laws regarding photographing in public to protect the privacy and personal space of the people in their territory. Other people may also be particularly protective about their privacy, so you must take that into consideration too. To be safe, ask permission first. You’ve got nothing to lose and it will only take a few minutes of your time. 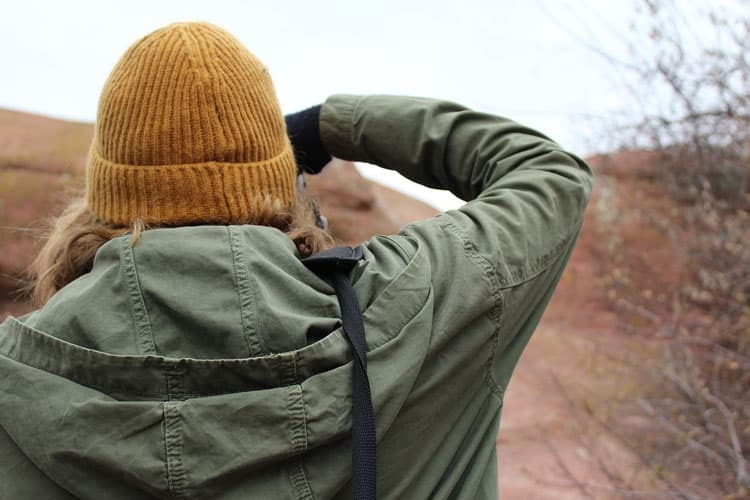 Travel photos are a great way to add value to your blog while entertaining your readers. 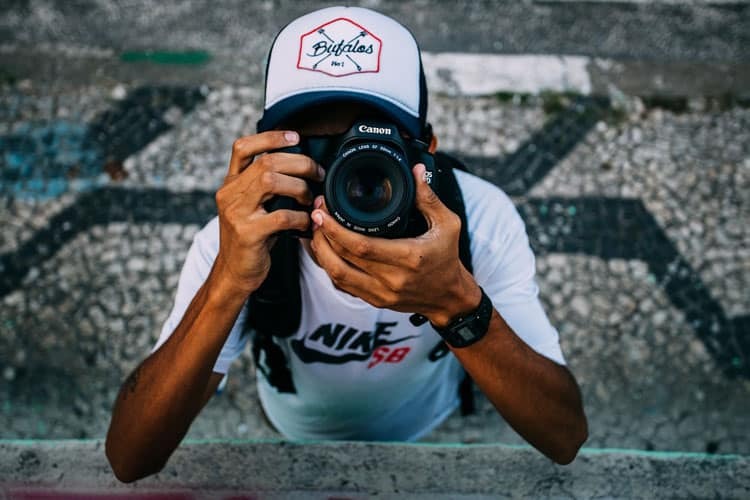 And with a bit of planning and a lot of practice, you’ll be able to take pictures that can visually tell the story for you, allowing you to reach out to more types of readers in the long run. Shane Haumpton is a contributing writer for several websites and blogs. She has written on a variety of topics, ranging from lifestyle, photography, travel, and arts and crafts to gadgets, social media, and internet safety. This self-confessed coffee addict and shutterbug manages to do all these while enjoying life as a nomad. How about you? Do you have any tips to add? Do tell! I am going to use those tips! YES on the tips about ASKING and not just shooting, and in my opinion that’s of anyone not just children, you should just never assume it’s OK to take a shot of anyone, it’s a huge pet peeve of mine and happens quite often here in New York City. As for bodies of water, I actually want to capture the reflection, I had no idea you weren’t supposed to. Great tips. We have a DSLR but we do not usually travel with it. Usually we use our Iphones. Thankfully the phones have great cameras now. I will keep these tips in mind for our next vacation. These tips are fantastic! I will be putting some of what I learned here to good use in a few weeks when I head to Colorado. I am so nervous about missing a great shot there because there is so much to look at in that area. I hope my pictures come out how they look in my head. 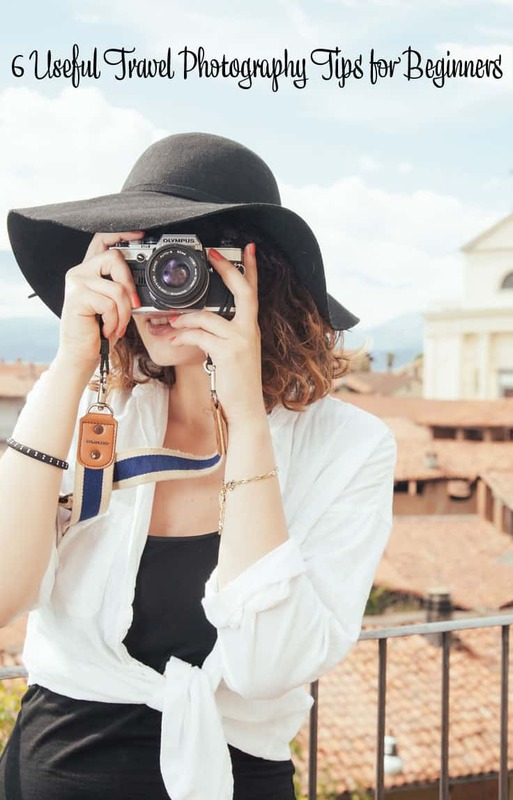 Great newbie travel tips for beginners. I like the tip to always ask strangers for pictures people forget that but definitely ask. I also change my lens quiet frequently because I use it for different reasons. Thanks for these great tips. i am still a point shoot and hope for the best kind of photographer but I am desperately trying to imporve. We did invest in a better camera and it was a brilliant decision! We now have some great shots but there is always room for improvement. I will be putting your tips to good use!! I think I need a stabilizer to have better videos while walking. We have one at home called the Roxant but I can’t seem to handle it well. Do you recommend any for a DSLR? These are great tips. I really struggle with taking good quality photos when away from home, so this is a great post for me to find. I think I need to print it before our next trip. Maybe I wont hand the camera over to our daughter and be able to capture some memories on my own, and do it well. Nice tips, very helpful. Wish I got to do more traveling. Sounds like you have had quite an adventure everywhere in all of your travels. The pictures here that you post are beautiful. What it really reminds me of though is that I need to get some better equipment. I know that I need something outside my phone to take pictures with. Just not sure it’s an investment I can afford just yet. Thanks for sharing these great tips. very helpful! Great tips! I just use my iPhone, so the tips about being quickly recognizing a moment you want to capture and asking permission to shoot really resonated with me. I think experimenting is a lot of fun in photography, and thanks to the digital age, doesn’t cost anything extra to snap more pics! Very helpful tips. I hope to travel more with The Hubs when we retire. As a photographer, these tips are very useful. Most people though don’t ask before they shoot and some times this doesn’t go well with some people.